A project management tool paves the way to collaborate on projects, reports and information access for the team. Zoho Projects is best suited for such teams and stands out by usability factor. As a project management tool, it can also do basic task management as well as reporting, yet some features are awesome like bug tracker and project chat. 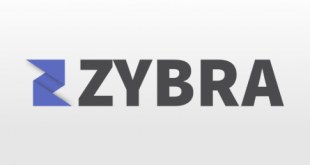 Zoho Projects has a long list of clients who use the tool to work online, such well-known companies are Kaspersky, Nokia, Epson, Yamaha etc. Zoho Projects editions are available on the monthly and yearly basis. A free trial is for one project with unlimited users. Other editions are- Express for 20 projects at $20 cost, Premium for 50 projects at $40 cost and Enterprise at $80 cost for unlimited projects. All editions are pretty affordable and Premium one is most popular. The best thing about Zoho Projects is that pricing is based on the number of projects and not users. However, pricing also varies with storage space limits. Even in Enterprise edition, 30 GB storage is provided which might be a bit disappointing. Apart from project planning and basic task management, time tracking is the most powerful feature of Zoho Projects. 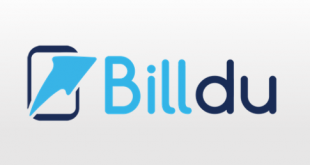 The tool introduces timesheet which tracks duration for specific tasks, records billing hours and sends invoices quickly. It allows you to export timesheet in various format for ease of clients. Isn’t it a great idea? Using this tool you are able to break down a complex project into sub-tasks with short-term deadlines. Daily short tasks to complete by users known as Hourly tasks. It enhances productivity as well as meet deadlines. Gantt chart is a must-have feature of any project management tool that visualize the whole progress and schedule. Zoho Projects isn’t different, it gives many more options in chronological charts such as adjust, resize, scale and share. This killer feature allows you to collaborate with wiki pages and keeps information managed with easy navigation. It also allows you to update RSS feeds that’s how it results in better team coordination. The tool can track bugs and fix them, exceptional ability! It makes you able to control and create a custom workflow. 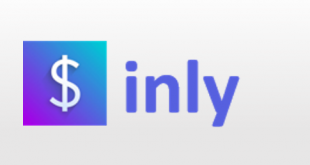 The tool has the coolest feature as chat facility where the user is able to invite team members quickly for project chat and collaborate with the team. In a very innovative way, you can discuss and get updates while working. Zoho Projects apps are available on both iPhone and android store. The tool has different basic features accessible from mobile. In iPhone app, features are quick add, quick notes and feeds view, while sharing images and notifications are easy in the android mobile app. The mobile interface is also very smooth and easy to understand. Zoho Projects are integrated with many third party apps as well as Zoho apps. Dropbox, Google Drive, GitHub, Google apps, Bitbucket, and Crashlytics. Other Zoho apps are Zoho CRM, Zoho invoice, Zoho reports, Zoho Docs, Zoho support, and Zoho calendar. 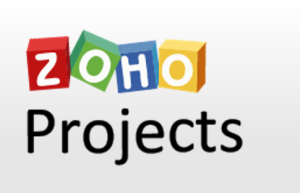 Zoho Projects provide support via user guide, webinars, knowledge base, blogs and community forum. If you really need help learning how to access the tool, Zoho Assist provides you remote support and Zoho support has lots of ways by which you can get direct support. The tool has the bug-tracking feature that allows you to report tracking and fixing bugs, it saves countless hours for a team. High availability- The tool has high availability and it enables you to purchase the product in your currency. Customizable- You can choose your own methods that work best for you. Transparency– Users and clients can share progress anytime, no matter their location. Average support– Users require accessing other Zoho tools (Zoho Support & Zoho assist) for support and integration. Limited reporting– When testing in a bulk of information on the system, reporting appears to be limited. 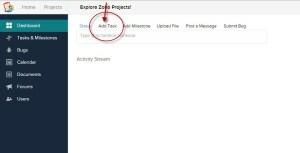 Zoho Projects isn’t different from other project management tools when we check features list, even then the handy tool exhibits extremely friendly interface for users. You can join a conversation in chat rooms and find your files in the search bar. Did you know that you can create team intranet with pages? Yes, you can. In addition, the bug tracker is also there for you to track and fix issues. Sounds good! 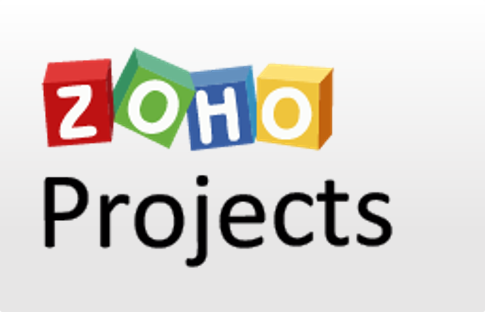 Zoho Projects gives you a fresh and innovative tool to assist you to complete projects with an outstanding experience. You can refer the detailed Project Management tools product reviews for Wrike and Teamwork for a quick comparison.